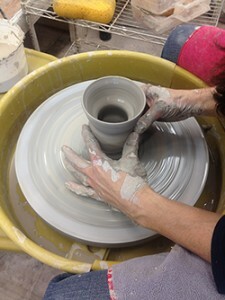 Adult Ceramic Art Classes – Summer Registration is now open! Registration for Spring and Summer Classes is now open! Each class is unique and small in size. Students can focus on growing as an artist with lots of personal attention from experienced instructors, while being part of a larger clay community. Our studio is well equipped with electric wheels, slab rollers, extruders, electric & gas kilns and a common glaze area. Class size is limited so register early! If a class is full, call 914-937-2047 x 223 or email us to be put on a waiting list.